Triathletes and runners now have a new weapon in their training and recovery arsenal, Montmorency Tart Cherry supplements. In a recently published clinical study in the Journal of the International Society of Sports Nutrition researchers from Texas A&M University shed light on the benefits of the tasty super-fruit and exercise recovery. Results revealed that short-term supplementation of Montmorency powdered tart cherries reduced immune and inflammatory stress, better maintained redox balance, and increased performance in aerobically trained individuals. Led by Dr. Richard Kreider and Kyle Levers from the Department of Health and Kinesiology, Exercise and Sport Nutrition Laboratory, in College Station, TX the research team used a double-blind, placebo-controlled testing method to examine if short-term ingestion of a powdered tart cherry supplement, prior to, and following stressful endurance exercise would affect markers of muscle damage, inflammation, oxidative stress, and/or muscle soreness. The study looked at 27 healthy male and female, endurance-trained runners and triathletes, and matched them based on average reported race pace, age, body mass and fat free mass. The subjects were then assigned, in a double-blind manner, capsules containing 480mg of powdered Montmorency Tart cherries (as CherryPURE) or a placebo for 10-days prior to the trial. After running a grueling 13-mile half-marathon, inflammatory markers were 47% lower in the tart cherry group post-trial and the perception of soreness was decreased by 34%. Supporting these results, researchers ran blood tests that revealed significantly lessened post-workout stress markers of creatinine, urea/blood urea nitrogen, total protein and cortisol. The study also found that those taking the tart cherry supplement, completed their half-marathon trial faster in comparison to the control group. The Texas A&M study adds another chapter to the growing body of evidence for describing the beneficial use of tart cherries in post-exercise recovery. For additional information about other studies please visit the Cherry Marketing Institute’s (CMI) website at www.choosecherries.com. CMI is a not-for-profit organization funded by the North American tart cherry growers and processors. CMI’s mission is to increase market expansion, product development and research. This study was funded by the Anderson Global Group, LLC (Irvine, CA, USA) and Shoreline Fruit, LLC (Traverse City, MI, USA) through an unrestricted research grant to Texas A&M University. All researchers involved independently collected, analyzed, and interpreted the results from this study and have no financial interests concerning the outcome of this investigation. The results from this study do not constitute endorsement by the authors and/or the institution concerning the nutrients investigated. 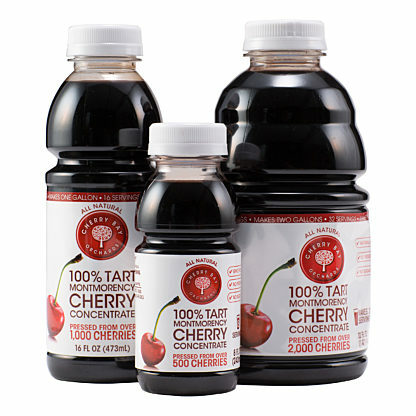 CherryPURE Montmorency Tart Cherry Powder is the premier tart cherry powder available in the nutraceutical marketplace and the only cherry ingredient backed by multiple human clinical studies. Built upon the health benefits inherent to phytonutrients, CherryPURE is produced using proprietary processing technology that starts with cherries carefully harvested in the USA and utilizes methods to protect the rich phytonutrient levels of each individual cherry. It takes more than 100 pounds of fresh Montmorency tart cherries to produce a single kilogram of CherryPURE Montmorency Tart Cherry Powder. Anderson Global Group offers a distinct portfolio of premium nutraceutical and functional food ingredients. Founded in 2009, we have distinguished our company by delivering superior ingredients, applying best-in-class processing technologies and supporting unique ingredient claims with compelling scientific research. This perpetual drive towards innovation is the platform for our brand partners to stand above the competition. Anderson Global Group is a privately held company headquartered in Irvine, California. 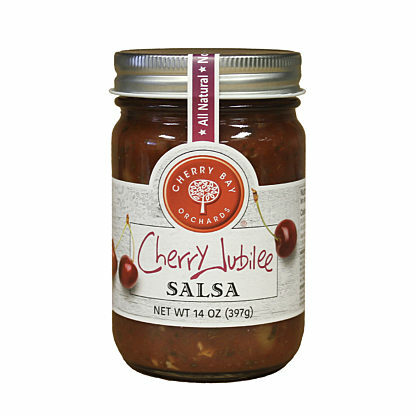 For more information about CherryPURE and our entire portfolio of quality ingredients, visit us at www.andersonglobalgroup.com. Shoreline Fruit, LLC is a vertically integrated grower, processor, and marketer of premium cherry products and other dried fruits. 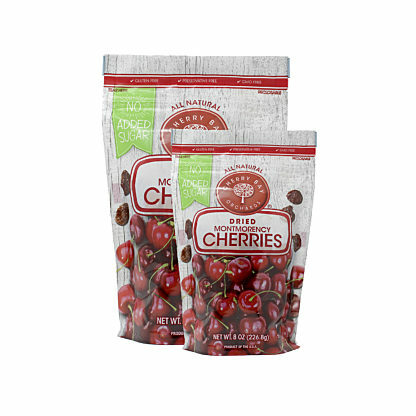 Locally owned and headquartered in Traverse City, Michigan, Shoreline is one of the world’s largest producers of dried tart cherries and cherry concentrate. Shoreline also offers a broad selection of other premium dried fruits and tart cherry-based nutraceutical products to consumers under their Cherry Bay Orchards and CherryPURE brand names to retail and specialty food marketers and distributors worldwide. From orchard to table, Shoreline Fruit is committed to quality, innovation, and sustainability.